2.9" x 2.5" stitched on 14 count. 2.2" x 1.9" stitched on 18 count. Christmas Motifs 6 cross stitch pattern... 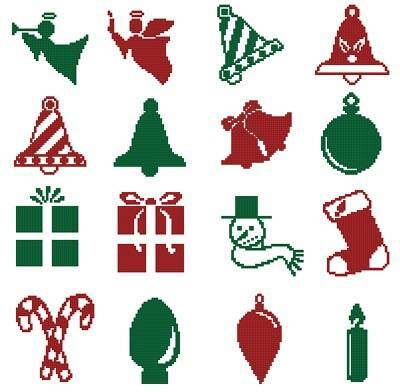 This counted cross stitch pattern of a collection of different Christmas patterns was designed from clipart by wpclipart.